In the following years after my degree I contemplated a collation of such data, acquired by myself and cross-referenced in a paperback book as a student aid. It was never my intention to do anything commercial and I envisaged something purely altruistic in nature if my personal finances ever allowed. As a result of a +44 year full and part time career in the Oil Industry, it had not been possible to progress the project in earnest. 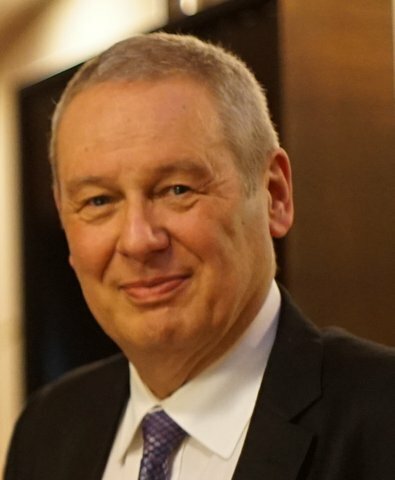 Additionally after a few early years based in Windsor, I was then located away from London, in Teesside, then Houston and now North Wales, which has added to the challenge to implement my project. During this +40 year period technologies have advanced! My first concept was to have been a paperback, much later it had migrated to a CD-ROM. And now of course it has materialised as an interactive website, so at the present time I have Phase 1 here as a public website. Each of these steps has reduced the cost of the project to me and made it more feasible. When I retired from full time work (in Houston) in 2003, and before consulting work grabbed me, I considered starting the project. I then discovered that the Geologists’ Association had supported, and through the Scottish Academic Press, had published two books by Dr Eric Robinson of UCL entitled London: Illustrated Geological Walks. In addition in the mid 1980s the British Geological Survey had published a small series of pamphlets, some of which concern building stones, called the Holiday Geology Guides. Unfortunately these are now out of print and many of the buildings Eric described have now been demolished. 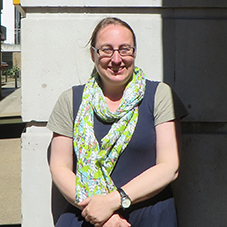 Dr. Ruth Siddall of UCL had created a series of great detailed papers around certain buildings or groups of buildings in the London area in a similar vein and these are available on her Urban Geology page, see our Further Reading Section for references and links. Whilst these written works are excellent and have great detail from much research, they do not lend themselves easily to the browsing modern geologist today in London. For example imagine Fred, finding himself at say Angel Tube Station with 30-45 minutes to spare, a smartphone / tablet and a wish to see something of geological interest. The opportunities to support and help geology students would appear significant. My goal has been to provide an interactive website where Fred can search for ‘Angel Tube Station’ and find what geological features are in the website’s database within say a 1 km walk of his location, with simple directions. To add to the database, I am sure there are numerous geologists (professional and amateur) who commute past a certain building and have noted a certain geological feature. I hope to tap into that resource to build more and more examples across London, which appears to have the richest concentration of varied urban building geological specimens, viewable from the pavements of London. In the Spring of 2014 I was able to meet with Ruth for the first time to explain my project’s concepts and found a fellow enthusiastic London building & pavement geologist ! I discovered the vast amount and depth of her work which she has VERY kindly allowed me to use on my website. Ruth’s support has really enabled this project to become a reality for me, Thank You Ruth. For most geologists, if you give them a piece of rock and ask them to tell you what it is, the first question the geologist will (quite reasonably) ask is, ‘where’s it from?’ From the answer to this question, geologists are able to rule out possibilities and identify the most probable answer. My work deals with out of context rocks, as building materials, so I have to work this question backwards; what is it? Where could it be from? How can I establish a provenance? For most of my adult life I have been a lecturer in geology at UCL, teaching petrology, structural geology and tectonics. However most of my research has been looking at geological materials used by people, as building materials, ceramics and pigments. I have been lucky enough to work at a number of important archaeological sites and monuments, including Corinth, Westminster Abbey and Pompeii. My knowledge of building stones has largely been influenced by two people I have had the privilege to work with. First Dr Eric Robinson at UCL, a pioneer and great promoter of the built environment as a geological field area, using the streets of London, and many other British cities as a teaching and learning resource. As a PhD student at UCL in the early 1990s, I used to trail around after Eric looking at building stones. I stored this information I learned from him, but never really used it until much later. Although I have consulted and researched the identification marbles and other decorative stones in various buildings in UK and abroad, I have not been able to find a home for my growing archive of the stone used to build London. I changed career, moving into student welfare at UCL in 2014. Removed from the pressures of teaching and slotting into the precise definitions of research assessment, geology could now become more of a hobby, and I could work and publish on whatever I wanted! I decided to start updating Eric Robinson’s urban geological guides and walks (and adding new ones), but this did not accommodate all my data, especially one off locations that did not sit easily on a walking route. Meeting Dave Wallis, with his idea for a location map showcasing London’s stones seemed the perfect solution and you can see the results here! My hope is that this will be a useful resource for both professional and amateur geologists, as well as a growing archive for stone conservators, architects and architectural historians.